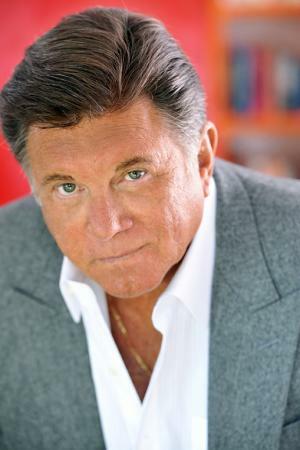 Lawrence Francis Manetti, born on 23rd July 1947 in Chicago, Illinois USA, is an actor, perhaps best known to the world for portraying Orville Wilbur Richard “Rick” Wright in the TV series “Magnum P.I.” (1980-1988), aired on CBS, and as Det. Ed O`Connor in the film “Cool Money” (2005), among other roles. He has been an active member of the entertainment industry since 1973. Have you ever wondered how rich Larry Manetti is, as of late 2016? According to authoritative sources, it has been estimated that Larry`s net worth is as high as $2 million, earned through his successful career in the entertainment industry, during which he has appeared in many TV and film titles, winning the Hero Award for his work on “Magnum P.I.”. Growing up in Chicago wasn`t quite from the books for Larry; in numerous interviews he stated that he had seen both sides of Chicago, the good and the bad, which only helped him in his later career, incorporating what he learnt into his acting. He wasn`t quite an honorable student, but found his way with the Ted List Players in his hometown, and was mentored by Golden Globe Award-nominated actor Robert Conrad. Larry made his debut in 1973, with a brief role in the film “The Girl Most Likely to…”, and continued with small roles in TV series, including Jack Webb`s “Chase” in 1974. His first bigger role came in 1976 when he was selected to portray Lt. Bob Boyle in the TV series “Black Sheep Squadron” (1976-1978), and the following year he appeared next to his mentor Robert Conrad in the film “Sudden Death”, directed by Eddie Romero. Before the end of `70s, Larry also had a role in “Battlestar Galactica” (1978), as Giles. It was in 1980 that his life turned for the better, when he was selected for the role of Rick Wright, next to Tom Selleck in the TV crime action adventure series “Magnum P.I.” (1980-1988), created by Donald P. Bellisario and Glen A. Larson. The role celebrated him as an actor, and increased his net worth by a large margin. While the show lasted, he wasn`t looking for other roles, and remained focused until its end. His next role was in the 1990 film “The Take”, and he continued through the `90s with roles in low budget movies, such as “CIA II: Target Alexa” (1993), “Subliminal Seduction” (1996), “Top of the World” (1997), starring Peter Weller, “Scar City” (1998), with Stephen Baldwin, and “Hijack” (1999), with Jeff Fahey. Larry is active as actor even today, and with the beginning of `00s, he had several notable roles, including in films “Random Acts” (2001) next to Victoria Foyt, “The Stoneman” (2002), “Cool Money” in 2005 alongside James Marsters and John Cassini, and “Sinatra Club” in 2010. Also, since 2013 he has appeared in six episode of the TV series “Hawaii Five-0” (2013-2016), as Nicky “The Kid” Demarco”, which has also improved his wealth. Larry is also recognized as an author; he wrote and published the semi-autobiography, “Aloha Magnum” in 1999, which depicts time spent while shooting the popular series. Sales of the book also contributed to his net worth. To speak further of his accomplishments away from acting, Larry also owned a restaurant at the Plaza Hotel & Casino. Regarding his personal life, Larry has been married to Nancy DeCarl since 1980; the couple has one child together, Lorenzo Manetti, a writer and director. 1 [Of Julie London]: She was no doubt, platinum, everybody loved Julie London! I heard her this morning on the radio, singing 'London Fog.' There was no doubt, she was top notch, plus, I worked with her, she was a wonderful lady! 2 [on his on- and off-screen chemistry with Julie London, who played Nurse Dixie McCall, R.N. ]: I worked with Julie London & Bobby Troup [who was her husband], and she invited me to their home; and I did 2-3 episodes of Emergency! (1972), and she was by far, the nicest, sweetest lady that I ever met, and every-time I hear her voice, I just reminisce, she was just wonderful. Besides being so nice, she had a great voice! As far as dancing was concerned, I don't know, we never danced. 3 [Of Robert Conrad]: He was a sweet, dear man and a terrific help, along with Irv Kupcinet, who was also a big help. Initially, Bob Conrad told me to get a pair of elevator boots and a haircut. 4 [on his on- and off-screen chemistry with Robert Conrad, who played Maj. Greg "Pappy" Boyington]: Well, let's put it this way, if Robert Conrad hadn't taken his hand in given me a life and help me, I never would've been here, never would I had a career, we wouldn't be talking, I would either be jail or dead! 5 [When he and Robert Conrad were both annoyed by his lifelong friend Elvis Presley]: That goes way back when I was doing Baa Baa Black Sheep, when I was with Robert Conrad, and Ken did a concert that Elvis was doing in Las Vegas, and the night that I went to the concert of my dear friend, Al Saks [who owned the Stardust Hotel] gave me a pulsar watch and in those days, that was a digital watch that was unheard of, I mean, it was gorgeous, and I put it on. I went to the concert, and when we were talking with Elvis, I hit the button - and it lit up - and he went bonkers, and all he knew was he had to have that watch, and he was peeling off his rings, his pendants, everything and I said, 'I can't do it,' and Conrad was becoming very annoyed also cause he said, 'Manetti, too, give me a break, will you, it's only a watch by Elvis Presley.' I said, 'I can't, that's my friend, I'm too loyal to him,' cause he was ticked off and stormed off, but that was my encounter with Elvis, after that, we were fine. 6 [When he heard NBC was going to turn Robert Conrad's, Black Sheep Squadron (1976), TV series into a character-driven comedy program]: That was a big push from the star of the show, Robert Conrad. There were some groups at the time, I don't know if it was the P.T.A. or whoever, was giving us a hard time because of the violence of the show. Conrad wanted to add some softness in, so he brought in the nurses and Red West, who was a friend of his and also Elvis Presley's bodyguard. I think it added to the show and brought a little more spice. 7 It bothered me at first. I was always wondering if they knew my real name, but as you progress as an actor, you start to realize that when people fall in love with a character, it's really a great compliment. It shows me that this is a show people really take into their homes and into their hearts. Not only that, but I've got a brother named Rick, so I'm kind of used to it. 8 [About growing up in Chicago, and the personality that changed his acting career, forever]: I grew up mainly around Chicago Avenue and Sacramento there, that was not an easy street. Through my upbringing, and hanging around with some pretty tough characters there, you learn both sides of the track. I think I used a lot of my traditions, tenacity and memories from there in my acting. 9 [Of his longtime friendship with Frank Sinatra]: Frank Sinatra was like a father to me. I feel very lucky to have known him so well and so closely. Every time I hear one of his songs, which is a lot, it brings tears to my eyes. My wife and I where very close to him and miss him greatly. 11 Elvis was an American icon, but the watch he wanted was given to me from someone that was like a father. 1 His acting mentor was Robert Conrad. 2 Best known by the public as Rick Wright on Magnum, P.I. (1980). 3 Had guest-starred on one of the last episodes of Emergency! (1972), with friends Julie London, Randolph Mantooth and Kevin Tighe. 4 Friends with: Shirley Jones, David Cassidy, Telly Savalas, Kevin Dobson, Julie London, Randolph Mantooth, Kevin Tighe, Karl Malden, Michael Douglas, Buddy Ebsen, Max Baer Jr., Lee Meriwether, Robert Conrad, James Garner, Bill Bixby, Dirk Blocker, Mike Farrell, Adrienne Barbeau, Erik Estrada, Ernest Borgnine, Tim Conway, Ted Lange, Robert Wagner, Catherine Bach, Patrick Duffy, Linda Evans, Lorenzo Lamas, Jacklyn Zeman, Susan Lucci, Howie Mandel, Ben Vereen, Nancy Stafford, Clarence Gilyard Jr., Tom Selleck, Roger E. Mosley, Mark Lindsay Chapman, Bob Hope, Frank Sinatra, Sammy Davis Jr., Dean Martin, Tony Curtis and Ron Masak. 5 Is a fan of The Jeffersons (1975). 6 His idols when he was young were Frank Sinatra, Ernest Borgnine, Julie London, Elvis Presley and Robert Conrad. 7 Is the author of the book, Aloha Magnum, chronicling the behind the scenes action on set at Magnum, P.I. (1980). 8 He was not cast as Lt. Robert Boyle in the pilot episode of Black Sheep Squadron (1976), but rather, he was cast as Boyle in the series from the second episode through the end of the series's run in 1978. 9 Father, with Nancy DeCarl, of son, Lorenzo Manetti, born on November 29, 1980. $2 million 1947 1947-7-23 5' 7" (1.7 m) Actor American Black Sheep Squadron (1976) Chicago Cool Money (2005) Donald P. Bellisario Glen A. Larson Illinois Jack Webb James Marsters Jeff Fahey John Cassini July 23 Larry Manetti Larry Manetti Net Worth Leo Lorenzo Manetti Magnum Nancy DeCarl Manetti P.I. (1980) Peter Weller producer Robert Conrad Snapdragon (1993) Stephen Baldwin Tom Selleck U.S.